Mi5, Mi4, Mi4i, Redmi 1s, Redmi 2, Note 3 are the best-selling mobiles of Xiaomi. 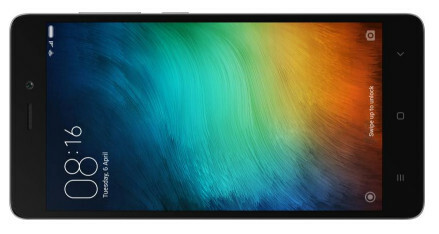 Although these five phones have different specifications, they have one thing in common – the MIUI OS. The MIUI is a custom ROM which provides plenty of tools free of cost. It is so powerful that the ROM eliminates the need to install third-party apps. MIUI has following two features built-in. Antivirus to eliminate threats from your phone. Weather app: The Xiaomi handsets come with a powerful weather application. The app displays the current weather of your city in a neat widget. You can place the widget at any position of the screen. Apart from the above default tools, Xiaomi MIUI features plenty of hidden features which you may not know. Below, we have shared cool free apps for Xiaomi mobiles and useful tricks to unlock mind-blowing hidden functions. News app: The best Android News applications keeps us updated with latest happenings in our cities, country or the world. Hence, it is one of the must-have apps for Xiaomi Redmi and MI series phones. Browser apps: The default browser of Xiaomi mobiles is based on Chrome. In case you don’t like it, pick one app from our list of best Android browser apps and install it on your device. Media Player: VLC is one of the most powerful Android media file players in the world. It enables you to play files of all extensions. Keyboard: For a better experience, you must ditch the default keyboard app in the Redmi 2, Mi5, MI4, Mi Max, Redmi Note 3 and install GBoard. GBoard is one of the most elegant keyboards apps of all times. It is tiny app integrated with Google Search Engine. It has a powerful emoji recommendation engine and multiple themes. App Lock: Xiaomi phone’s app lock tool works like a charm. To enable use it, head over to the phone settings interface and scroll down till you reach the bottom of the list. Tap on the App Lock option. The phone will now ask you to enter pattern lock. Once you define a pattern lock, you’ll see a list of apps. Select the apps which you want to hide. Three finger screenshot: If you have flashed MIUI 8 ROM, you can take current screen’s screenshot by swiping three fingers on the screen. This is a cool feature of MIUI ROM. Try it out! Compress and hide files: Most phones running on Android OS offer a basic functionality of moving and viewing files. The file manager in Xiaomi phones is a robust tool through which you can hide files of all types. If you have saved plenty of files in a single folder, the MIUI lets you compress the folder and save disk space. If you enter .jpg, the file manager will show a list of all files in your phone with the .jpg extension. Similarly, to see the list of all PDF files, enter .pdf. Power saver: The Xiaomi MIUI OS features a powerful battery saver app for Android. To access this application, navigate to the settings and tap on the battery and performance option. Enable or disable battery saver for the entire system or individual apps. See the battery usage, temperature, capacity. Quick ball: QB is yet another cool feature in Xiaomi Redmi Note 3, Redmi 2, Mi4, MI5, Mi4i, Mi Max phones. Once you enable this function, a floating round widget will appear on the screen. If you tap on this widget, you’ll see up to 6 shortcuts. To enable the feature and define the shortcuts, navigate to Addition Settings and select Quick ball. WiFi sharing: Xiaomi phones provide a cool feature with which you can share your phone’s WiFi connection with other devices by scanning QR code. To access this feature, open settings, tap on WiFi option. Tap on your connection name and chose share option. Conclusion: We have shared plenty of free apps for low-end and high-end mobile phones. Explore our site and discover more apps for your Xiaomi mobile. We’ll share new tricks once we find them.